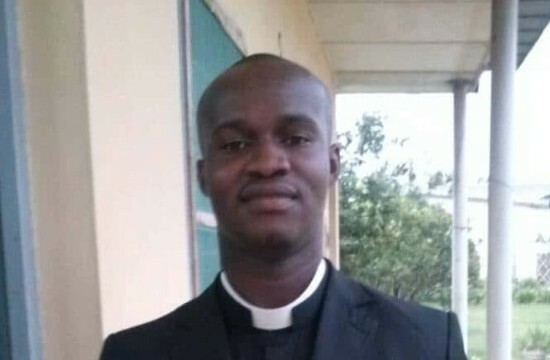 The scandal of the Catholic “pastor” Pacôme Marie Achija kneeling before an evangelical pastor to receive a blessing is only the tip of the iceberg of the danger facing the Catholic Church of the Ivory Coast. [An Additional articled by Lucie Sarr, including a link to YouTube footage of the incident, published by La Croix International on January 25, 2019, may be accessed by clicking here]. I believe that the Ivory Coast bishops have an enormous responsibility in this whole business, which is disturbing to Catholics as they are the guardians of the Christian faith. For a long time, voices have been raised in warning against the confusion created within the Ivory Coast Catholic Church by certain new communities. This is not to say that all the new communities are bad or that they carry out bad acts. However, there are too many of them and they lack training and guidance. In general, I acknowledge the merit of these prayer groups and the Ivory Coast charismatic movement. When they emerged in the 1990s, they revitalized the faith of Ivory Coast Catholics. In the new communities’ form of evangelization, Catholics found prayers that connected to them in their day-to-day concerns. However, in the course of time, their promulgation of prosperity and miracles has diverted many Catholics from the essence of their faith. In certain new communities, the fundamentals of Catholic doctrine are being undermined. Through methods of evangelization similar to the those of cults, these prayer groups turn away from Christ, the one true path, and lose themselves in a cult of personality. At times, they engage in practices, the significance of which they do not grasp: the laying on of hands, exorcisms, collecting tithe, collection of Mass intentions…. Some of the communities, in collaboration with priests, transform private residences into parallel parishes with church services appropriate to proper parishes: confession, adoration, Mass. We all have our responsibilities in this issue. We priests, first of all, must stop criticizing the lay leaders of the prayer groups without giving them the brotherly advice and correction that every Christian must give his brother. We are often very proud, from our position as qualified theologians, to throw stones at them … but how do we guide and train these laymen? A serious concern is that some of the excesses in these communities come from ordained priests who call themselves charismatic or “anointed ones,” and who allow themselves to accuse people of sorcery, thus dividing families. The Lord is speaking to us. The pastor Achija made a mistake, it is true. But, through this, the Lord is calling upon us to address the general states of the new communities — not to destroy them, but to heal them and to make them better instruments in the service of Christ, our savior. The bishops of the Ivory Coast must be the first to step up and do so. In 2014, the Bishops Conference of the Ivory Coast created a new commission of national coordination of new communities, with the responsibility to identify, supervise and train the leaders of the new communities. This commission must do its job. And it is up to the bishops to get it working! Father Donald Zagoré is a priest of the Society of African Missions.